Don’t you love gifts! Especially when they’re truly given, with no strings attached, all we have to do is receive them. The greatest gift we’ve ever received has nothing to do with our efforts. It is a gift from God. We didn’t earn it, deserve it, or purchase it. 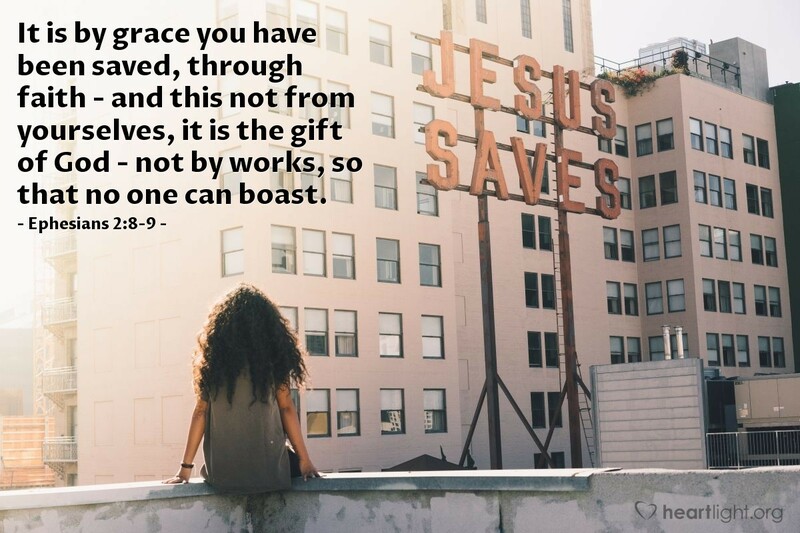 God gave it through his sacrificial gift so our salvation would not be our boast, but his kindness. Holy God, I can never thank you enough for sending Jesus and paying the debt for my sin. May I never presume on your grace or take the cost of your gift lightly. At the same time, Father, I want to live confidently, knowing that my salvation is not dependent on my mistakes but upon your grace. Because of such a lavish gift, I want to live for you today in a way that reflects the joy I have at receiving such an awesome gift. In the name of Jesus, my source of hope and grace, I pray. Amen.